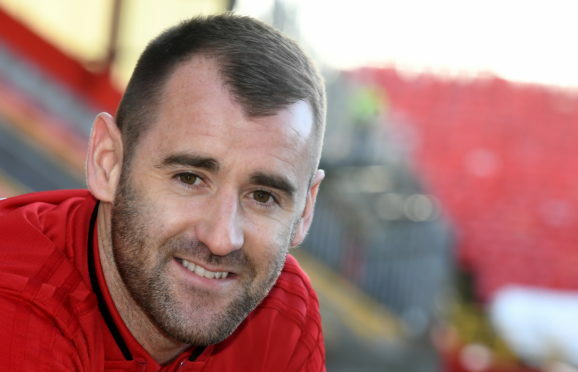 The Scottish Cup remains the prize Niall McGinn would most like to win at Aberdeen. The Dons have had several near misses in the competition, including the final in 2017 which was McGinn’s final game before departing for South Korea. The Northern Irishman netted in the 4-1 win at Stenhousemuir on Tuesday night, which earned Aberdeen a fifth round tie with Queen of the South on February 10. A pivotal run of league fixtures is also coming up, with Hibernian at Easter Road on Saturday and Rangers visiting Pittodrie next week. However, another cup run, this time culminating in silverware, is on McGinn’s agenda. He said: “Ever since I’ve been at the club it’s always been important to do well in the cup competitions. We’ve been to many semi-finals and finals and, although we’ve won the League Cup, it would be great to go one step further in the Scottish Cup – that’s the trophy I’d most love to win with Aberdeen. “It’s obviously satisfying to have a home tie and just as good to have come through this game unscathed, with no fresh injuries. It was a good all-round display and we’ll focus on Queen of the South when that comes around because we have big games against Hibs and Rangers before then. “Right now we’ve got to dust ourselves down and get on with the league action on Saturday. These are matches you want to be involved in and we want to get back on track in the Premiership after dropping two points at home to Kilmarnock last weekend. Niall McGinn opened the scoring for Aberdeen on Tuesday night. He remains confident that the Dons have the requisite quality to stick with the rest of the top four, pointing to the strength in depth Derek McInnes has at his disposal. McGinn added: “You only have to look at our bench at Stenhousemuir – we had Stevie May, Gary Mackay-Steven, James Wilson and Stephen Gleeson on it and they’re all important players. Our squad is very strong at the moment, even though we’re currently missing key defenders in Scott McKenna and Mikey Devlin.